I Heart Makeup are the sister brand of Makeup Revolution, and if it isn't obvious already a brand I totally adore. I find them to be my go-to makeup brand for palettes now a days. It's nice to know that I'm able to indulge in something I love without breaking the bank too much. I'm definitely an high street makeup lover. I've wanted the #Selfie palette for so long now - Since it's been out actually, and I can't tell you how happy I am to finally have it in my hands. Not sure if it's the funky flashing packaging or the shades inside (probably both) but this is one gorgeous palette. It doesn't break the bank at all at just £4.99 and also comes with a mini primer too. 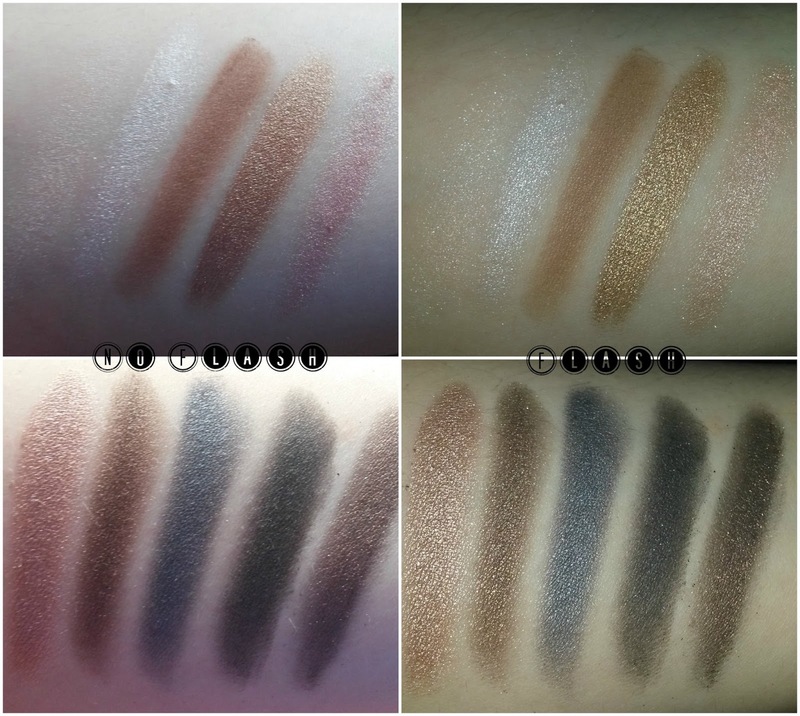 The #selfie palette comes with a great mixture of shades to take any look from day to night. It's very compact in size making it a must-have for the handbag or traveling. I found the shades to be highly pigmented, very soft and buttery, they also last very well with or without a primer. I can't help but compare the shades to the Naked palettes in some ways with a few being very similar to the Naked 3 palette. This is probably my most favourite palette from the I Heart Makeup line and one I highly recommend picking up. Hey guys, sorry I've been a bit lacking in commenting, replying and reading blogs these past few days. I've been ill for over week now with a bad cold. It's now all my wisdom teeth have decided to attempt to break through the gum too (honestly, I know how it feels to be a teething baby again). And with a runny nose, teary and rather watery eyes I've also been dealing with daily headaches, and looking at the screen for hours on end reading isn't always the answer. I'm starting to feel slightly better now but the headaches are still constant, so please bear with me. It's not often I'm ill and now I am it doesn't seem to want to budge fully. I need to get one of their palettes, I love makeup revolution. I used to hate neutrals too. I thought they were so boring, but now, I love them. I don't think I appreciated how stunning they were when I was younger lol. I'm not the biggest eyeshadow wearer, but their palettes are so beautiful!